If you’re on the Kardashian bandwagon, you’ve likely heard of the vampire facial — thanks to Kim’s gruesome selfie. For those of you that aren’t quite aware or haven’t succumbed to the Kardashian fad, yes, the vampire facial is a real treatment, but no, that’s not its scientific name. 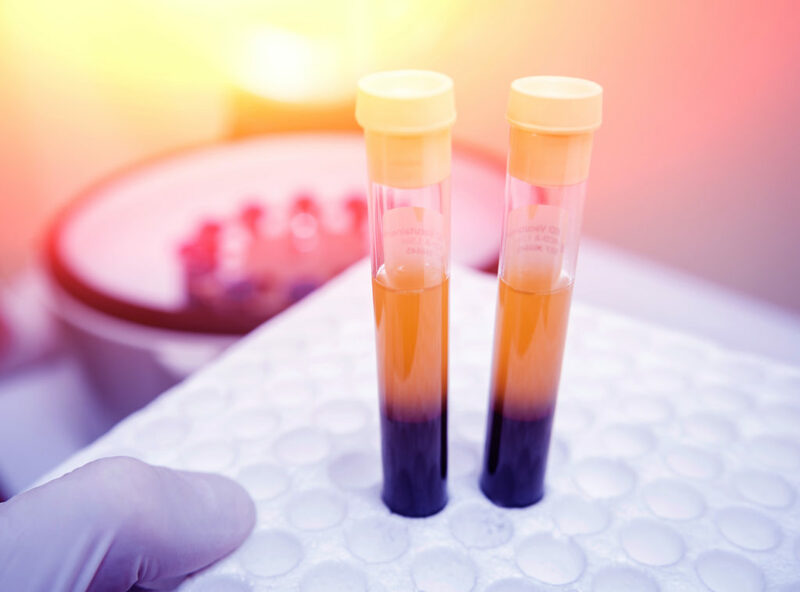 Formally and officially known as a Platelet Rich Plasma treatment, or PRP, the treatment isn’t just a celebrity fad or gimmick — it’s recommended by estheticians worldwide. Curious why PRP procedures are so loved? Want to know how they work? We’ve got answers! Ok, so what exactly does PRP stand for? What are these treatments? 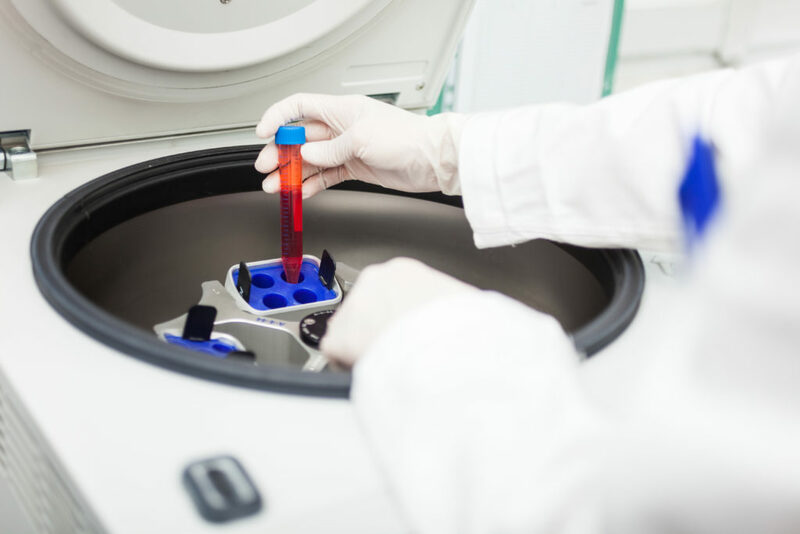 A Platelet Rich Plasma Treatment involves having your own blood taken and processed through a centrifugal system — also called a centrifuge, and shown below. This system is used in labs across the world, and it’s able to separate the fatty, nutrient-rich platelets from your red blood cells. These platelets, filled with good fats and nutrients from within your own body, are then extracted and put back into your skin. How, exactly? Either via microneedling (which involves a device like the one below that contains hundreds of tiny needles that prick your skin) or good ol’ fashion injection! Sound frightening? We know, it’s a bit bizarre. But is it worth it? Most definitely! A PRP facial can be done super quickly — it begins with a cleansing, then the esthetician will apply a numbing gel to your face before (or maybe just after) they draw a small amount of blood from veins in your arm. This blood is then centrifuged through a centrifugal system, which separates out the nutrient-rich platelets from your RBC, or red blood cells. The platelets are then injected back into your skin — either via microneedling or a direct number of tiny injections into “problem areas” of your face and neck. Thanks to the numbing gel, the procedure should be relatively pain-free! The injection does leave some blood on the face, which can be a little frightening if not anticipated — a la Kim Kardashian’s bloody selfie. After the procedure, you can expect to have a few days of redness, swelling, and possibly some light bruising. Within a week, however, these effects will disappear to show results. Several studies show that platelet-rich plasma does, in fact, improve skin structure and appearance and the effects can last for several months, although these will vary based on the individual and their complexion. Why do pros combine PRP with microneedling? 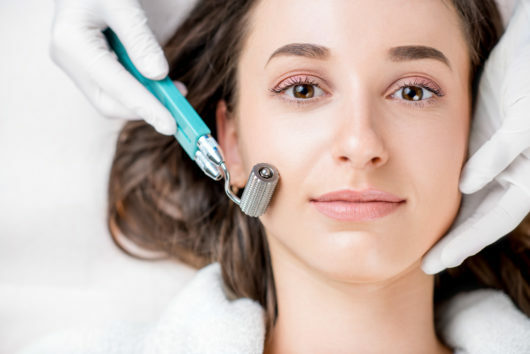 For starters, microneedling is, in a nutshell, pricking tiny microscope holes in your face, so these are the perfect ways to ensure the PRP is re-entering your skin and bloodstream. By slightly and gently “injuring” your skin with microneedling, you send a message to your body that encourages it to buff up its love for your skin — aka send more blood and create more collagen. Collagen is what helps create plumpness, while added circulation is what helps created a rosy, bright and glowing complexion. I’ve also heard about PRP Gel Fillers… what’s the deal with that? With PRP Gel/Fillers, dermatologists and estheticians take the PRP process one step further. After extracting the platelets from your blood, your skincare pro will then pop the platelet formula into an ultrasonic bath that will heat up and eventually cool down the formula. This heating and cooling process causes the platelets to coagulate, which creates a gel-like consistency. (As an esthetician myself, I like to joke that it’s our body’s home-made filler!) 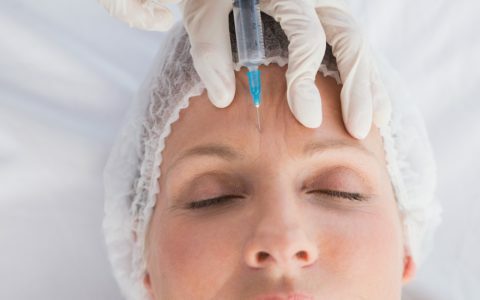 This gel-like filler can then be injected back into your body — the exact same way a traditional dermal filler would be. The benefits, however, are believed by many pros to be superior. This is what your blood looks like once it’s been processed through centrifuge machine! Why should I choose PRP fillers over my trusted HA fillers? So, what makes a platelet filler better than traditional fillers? For starters, these platelets are 100% natural — and derived completely from your own body. This means there’s almost no chance of an allergic or negative reaction. The idea behind PRP actually comes from stem cell therapy. The concept is that the nutrients in the plasma gel, spun from your own blood, actually helps encourage your own body to heal and regenerate itself. Basically, the idea is if you’re experiencing loss of plumpness in your skin, you can temporarily fill the area with a Hyaluronic Acid filler, which will eventually deflate, or you can opt for a PRP gel, which will plump the area and simultaneously kick start the regenerative process — resulting, ideally, in a more permanent form of anti-aging skincare. Oh, now I’m interested! What’s the downside of PRP fillers? As this process is a little more advanced, there are a few negatives to be aware of. This isn’t necessarily a downside, but when you make an appointment you should know that it isn’t a quick treatment. That’s mostly because your blood has to be drawn and then processed, and that can take anything from 15 mins to an hour. Most doctors will use that time to apply a topical numbing cream to the area, to make the process more comfortable for you. As with any cosmetic treatment, there are some side effects that can occur — typically those are some bruising and swelling. The good news is, these are only temporary and will subside over a few days. Ok, I may be convinced! But is it super expensive? Both a PRP Facial and PRP Gel fillers are cosmetic treatments that take time and skill. Therefore, the cost is going to be significantly higher than traditional dermal filler or facial procedure options. For PRP facials, prices start around $150 and go up from there, whereas PRP fillers can start around $500.